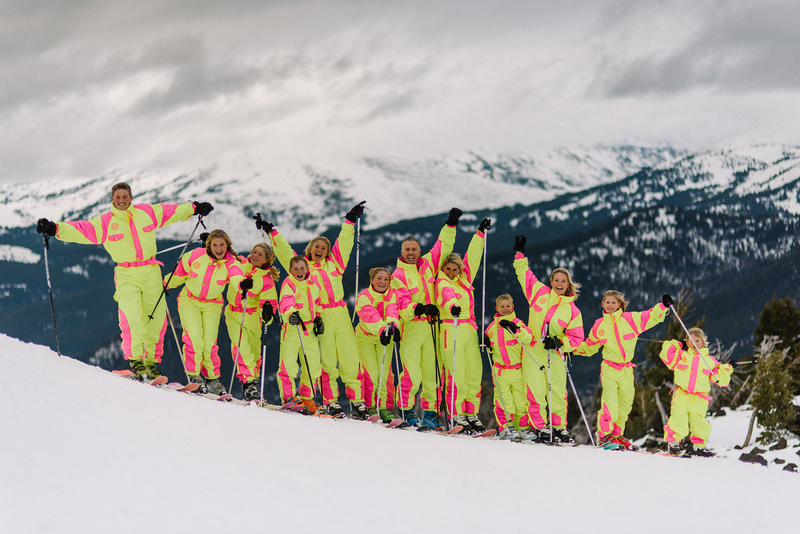 Two parents, 11 children, and 13 day glo onesies that are ready to rip! Whether we’re preparing for a day on the hill, skiing the same run on our local mountain resort, or simply riding the lift, skiing together has helped our family learn new skills and gain memorable experiences. We know firsthand that family ski trips foster a sense of adventure and fun that sticks. Through our passion for skiing together as a family, The Big Ski Family was born. Our mission is clear: introduce one million families to the joys of skiing together! What’s The Big Ski Family All About? Some people think skiing heroes are made up of Olympic ski racers, extreme skiers, and the stars of Warren Miller films. And so do we! But we believe that the true heroes of skiing are the Moms and Dads who load the whole family into the SUV and head for the slopes, eager to share adventures and build lasting memories with their children. As The Big Ski Family, we represent the modern day family that loves to ski together. A father, a mother, and a child or 2 (or 11) who understand just how powerful shared experiences are. What Exactly Does The Big Ski Family Do? Ignites a passion in other families to ski together. Travels the world sharing their love for skiing with other families. Ensures that every person on the mountain is having a blast! Partners with ski companies, brands, and resorts to get families to ski together on the slopes. 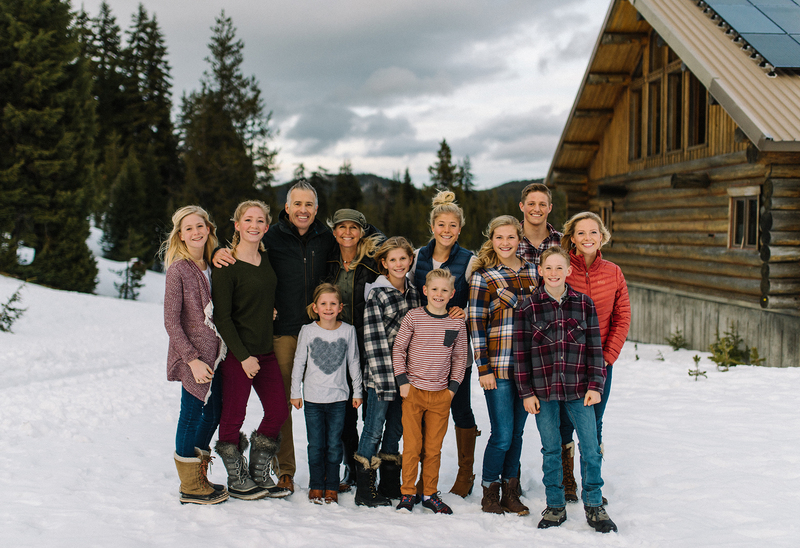 Hosts Family Ski Days at select partner resorts all over the West Coast, United States, and eventually the world with exclusive opportunities to ski with #TheBigSkiFamily. Represents the trusted brands, resorts, and gear that skiers are all about. Gives away a TON of gear — everything from ski equipment, lift tickets, clothing, goggles, and gloves (you know, the stuff that skiers love!) — from our strategic partners. Ready to come shred with our crew?